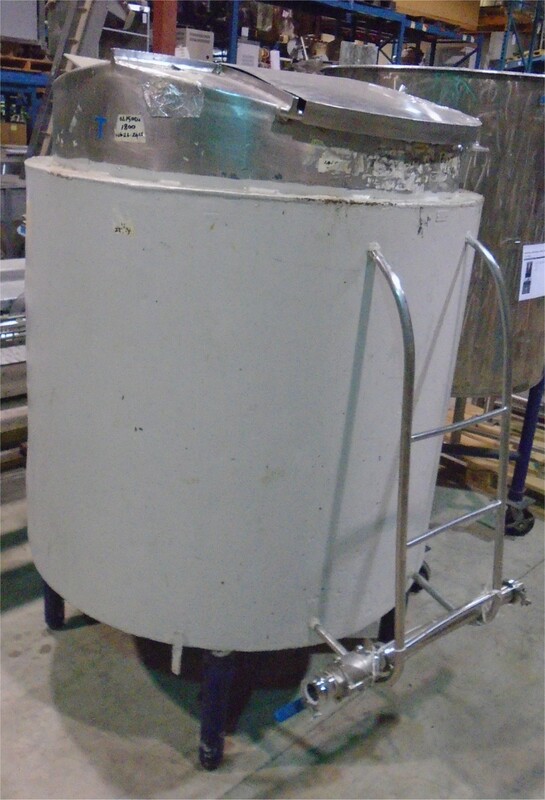 Used approx 1600 Litres (400G) Stainless Steel Insulated Tank. 48" Diameter x 50" Deep x 80" Overall Height. 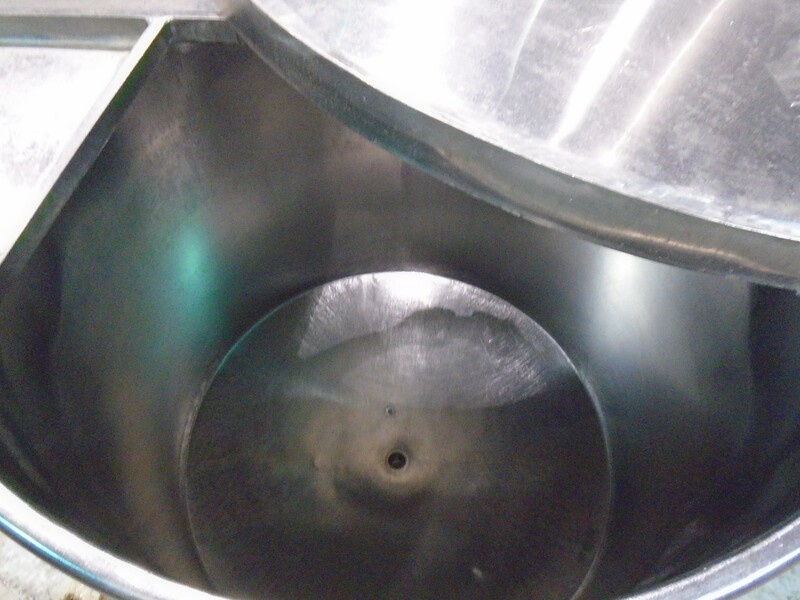 2" bottom discharge with extension valve to side. With Manhole and ladder.